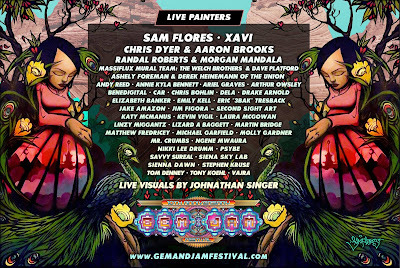 This April I will also be in Morelos Mexico, Live painting and teaching at OMETEOTL Festival. Should be pretty awesome, so learn more about it HERE. 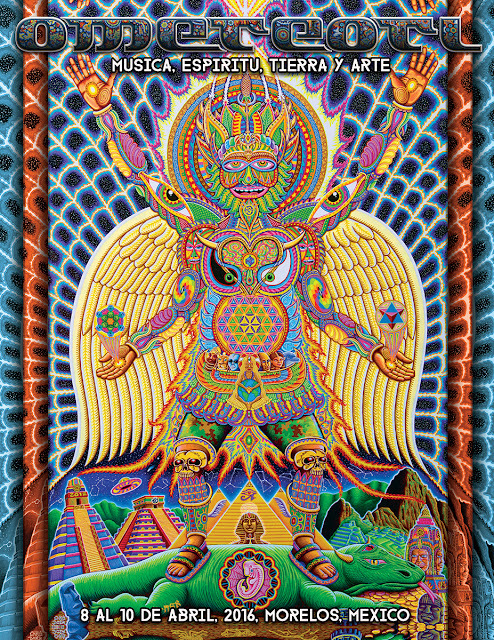 This April 22nd I will be live painting in the awesome city of Portland Oregon, at a party called "Down the Rabbit Hole". 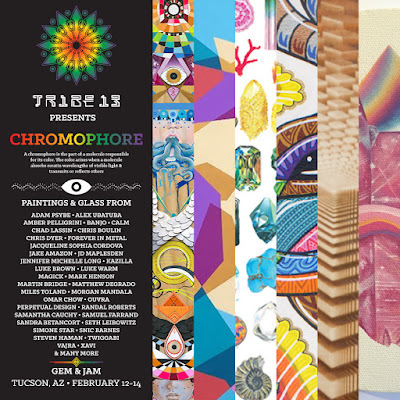 Lots of great DJs at the Crystal Ballroom, it promises to be real fun. For more info go HERE. 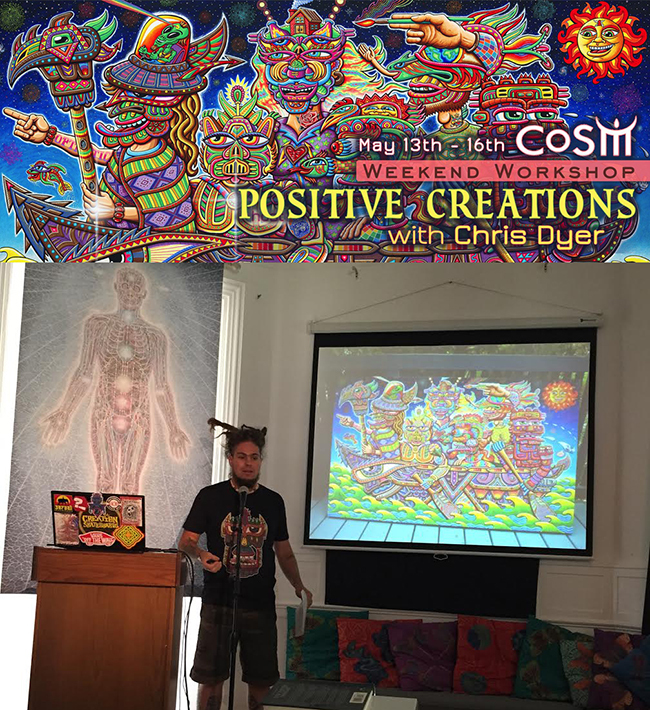 My 4th Art Workshop was just announced at Alex Grey's COSM (Chapel of Sacred Mirrors). This time I scheduled it for spring (May 13th to 16th) to make sure you can make it before you blow all your loot on summer festivals. This year, on top of my 3 days of painting skateboards and art career lectures, I offer an optional 4th day (for an extra 50$) where I teach spray painting. Anyways, to sign up (early bird is cheaper!!) go to the COSM SITE, and please also join the Facebook EVENT PAGE. it will be fun, don't miss out!! 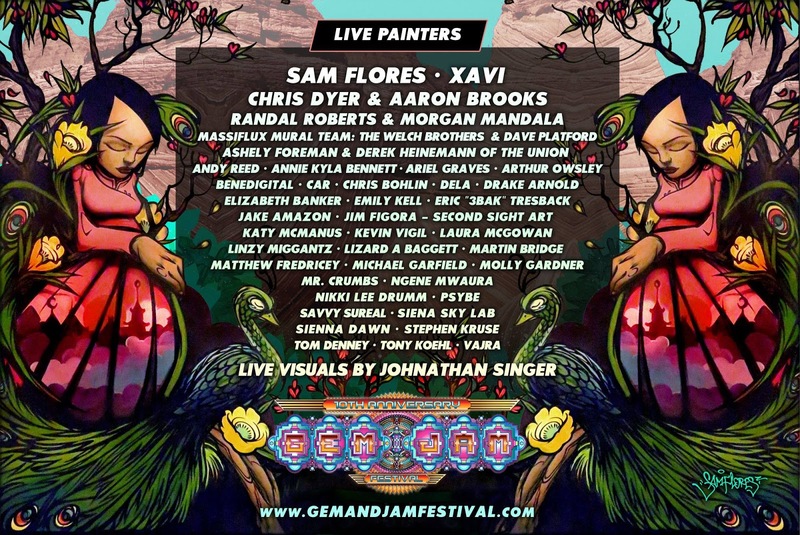 Sorry for the late word, but tomorrow I will be flying down to Tucson Arizona, to live paint for Gem and Jam Festival, over the weekend (12-14 February). 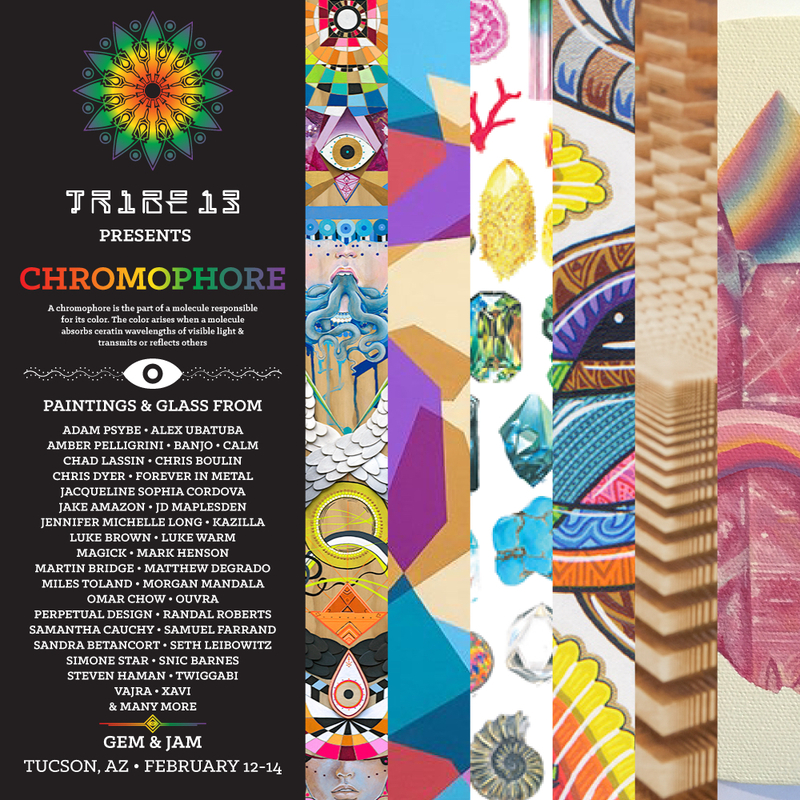 My original paintings will also be part of the Tribe 13 Gallery, an dteh line-up of creatives is real great. For more info, go to their WEBSITE or FACEBOOK EVENT PAGE. Here is the recording of my interview with Dr. Kelly from last week, on her radio show "The Lucid Planet". Hope you enjoy! !